It works for others, but not for you – what’s happening? I like to code my plugin in such a way that you do not have to even look at the settings, it should still work with a default setup, but not everyone does – some people do not even check the settings. Some developers put their settings in strange places – I found one whose settings were reached off the plugin listing line, but only when you hovered over the plugin line! do a backup that includes the database, and know how to restore it! If the plugin is crucial, check the forums BEFORE you upgrade. 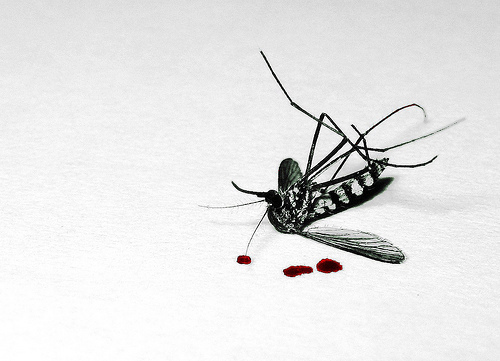 If you are really unlucky you may be the first to flush out a bug or clash, but the odds are someone will have got there before you. Test the new plugin, theme or upgrade on a test server first, with other crucial plugins active. NEVER ever apply it to your live site straight off, even if you trust the developer. There are infinite combinations of circumstances and your site may just find one that breaks the plugin. Have a backup that YOU know how to restore. Yes it seems it is not obvious to all, but it is no good having a backup if you have no idea how to use it. Hopefully your host has a simple option for you – be aware of lead times if you need their input. or have the plugin deactivated for a while. If it is a simple, obvious problem or visible error, a “fatal error”, “warning” or “notice”, then an internet search, or forum search both at wp and at a plugin own site, using the words but removing anything that relates to your site can be very useful and give you a quick sense of what may be wrong. It may educate about the WordPress functionality is use. Not a simple, obvious problem, or plugin developer cannot recreate the problem? Did you just upgrade to latest WordPress and was it just released ? the plugin may not yet be compatible with something that changed in WordPress. It is the php version? 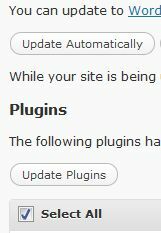 the plugin should work on the ‘most’ common php version, which at time of writing is 5.2 See http://wordpress.org/about/stats/. If your php is old or very new, this may be it. You need to be able to tell the developer what php you are using. if it worked on a clean new wp install, it may be that your database or your WordPress is corrupted. Scary, does happen. Sometimes even a clean WordPress install gets corrupted and one has to “install” it twice. I’ve seen people describe this. Do NOT struggle for multiple hours, getting more frustrated. Take a tea break, go for a walk, get a nights sleep. Check for environment changes… i’ve seen people curse WordPress and a developer only to shamefacedly report back after a day or so to report why it was actually something that had happened on their side. Report early to the plugin forum – you may be highlighting something new, the sooner the developer knows, the quicker they can address it. Use some good judgement about how early to flag an error, but do continue with the debug steps. BUT DO not report without doing some of your own debugging. Your situation may be unique. Be specific – report with as much information as possible . “It does not work” is not helpful to anyone. Clearly it will have worked for some people or most likely many. The more info you can provide, the more likely you will get quick resolution. Unless you have a support contract with a guaranteed response time, do not realistically expect better than a 48 hour to 1 week turnaround, or even one at all in the case of free plugins or ones that explicitly exclude guaranteed support. It doesn’t mean that they do not support it, it just means they are unable to guarantee it – this is quite reasonable – particularly if the the developers are a small organisation or an individual. For example most of you know that I usually get to a question within hours, but cannot guarantee that, so I explicitly exclude guaranteed support in my terms. When reporting, have good manners and remember timezones. You never know what is happening in someone else world (births, deaths, tsunamis, earthquakes, snake bites, sick children, broken fibre optic undersea cables, loss of power, loss of internet…) . always working with php and mysql ALL errors, warnings, notices etc switched on. http://wordpress.org/extend/plugins/search.php?q=debug – some plugins that may help. Personally I sue my own little dummy debug plugin that switched all errors one and off as I activate and deactivate it. It's tempting.. but should you? Judge the risk/benefit tradeoff before you click that one step upgrade all – you are the one responsible!